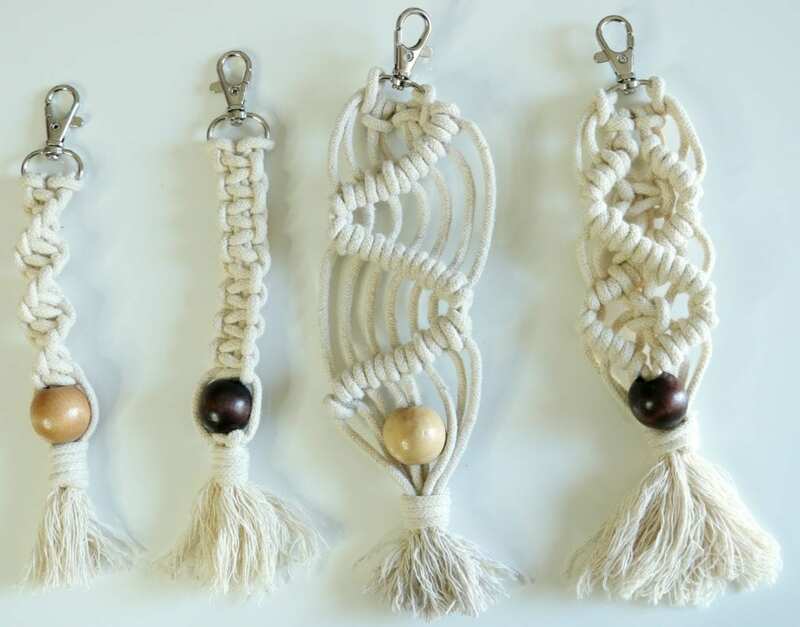 Learn how to make this beginner macrame keychain! 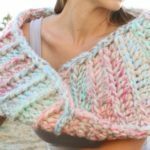 I go through all the steps to show you how to make this adorable macrame piece – it’s a great way to see if you like macrame and want to dive in deeper. I have kits available in my shop to make it easy for you. This kit comes with all of the materials you need to make 2 keychains. 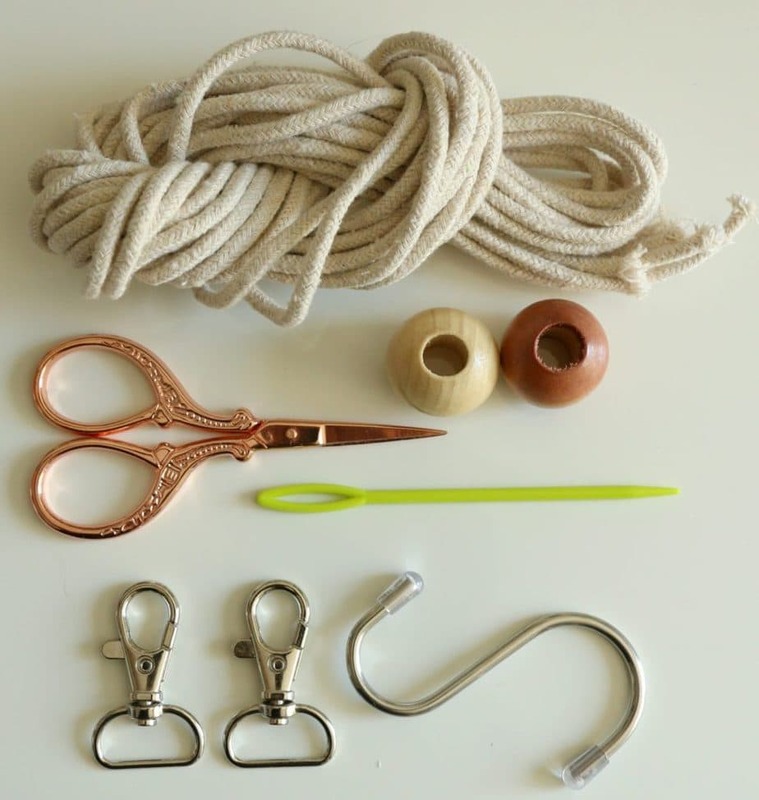 You will get video lessons for 4 styles, pick your favorites and start making knots! 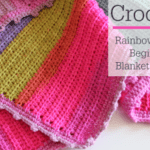 All beginner macrame patterns. 2 arms length of macrame cord, I like the sturdy braided style cord for keychains because they hold up better for everyday use. You don’t need the kit in order to make this keychain, you are welcome to head to your local craft store or Amazon and grab what you need. Here is a list of supplies from my amazon shop if you want to see some examples of products. Fold cord in half and put the loop through the front of the lobster clasp and put the tails of that cord through the loop to create a larkshead knot. The the right strand and bring it across the 2 center strands of cord, place the left strand in front of the right strand and loop the left strand behind all of the strands and through the loop from the initial right strand. That is a half square knot. continue the half square knot until the right and left strands are about 5 inches long. Thread the bead through the center 2 strands and finish with a gathering knot. trim cord and fray ends. Looking for some more info on kits? Here’s a post about one of my embroidery kits. So excited to see macrame make a come back. I used to do this when I was younger! 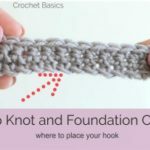 Please do more tutorial on macrame. I use to do macrame plant hanger years ago. Don’t stop. Definitely going to look out for macrame supplies now and a great other craft to get into. Just wondering is there a macrame hanging plant holder type thing? I seem to remember seeing something like that but not sure if it was macrame. That would be neat to make, if there was such a thing. 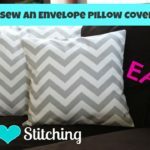 I know it may not be a first project type thing but would be neat to be able to make. Hope you are still recovering well.